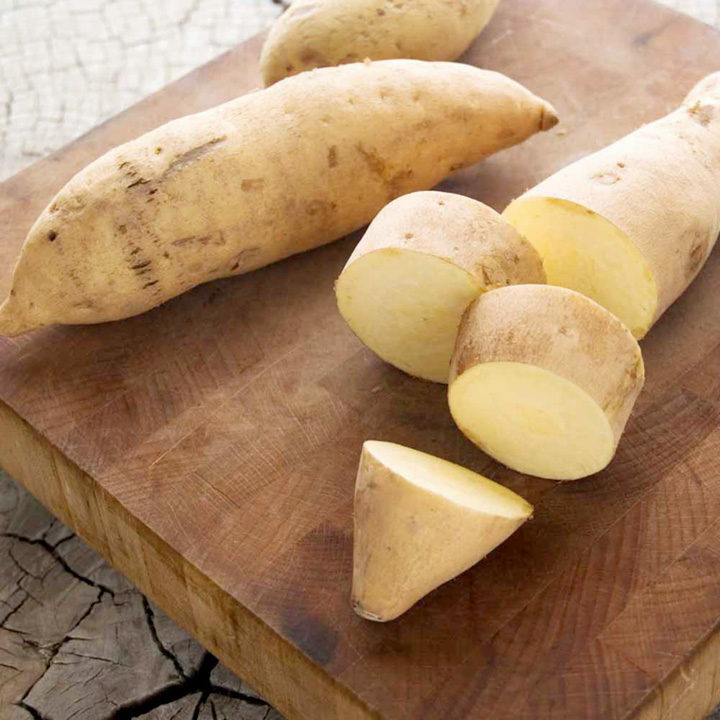 Tan-skinned tubers with a purple cast, and unbeatably sweet, bright white flesh. Perfect for traditional potato dishes. Not available from supermarkets. 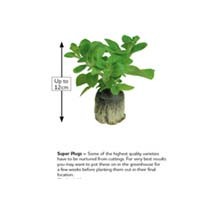 Traditionally sweet potatoes have been grown from ‘slips’, but we supply Super Plugs, well-rooted and actively growing, which give far better results! Our new generation of cool-weather-tolerant, fast-maturing varieties can now be grown successfully from plants in even the chilliest parts of the UK. Simply pot and grow on in a frost-free environment until June, then either re-pot or plant into a sunny spot in the garden and you’ll be harvesting your very own sweet potatoes this autumn! Packed full of vitamins and iron, they can be boiled, steamed, baked, mashed or chipped - delicious! TIP: Don't rush to eat sweet potatoes freshly dug from the ground. Newly harvested tubers will reveal their true sugary, fragrant potential when left in a warm environmnet for a few weeks.